November cloud cover. 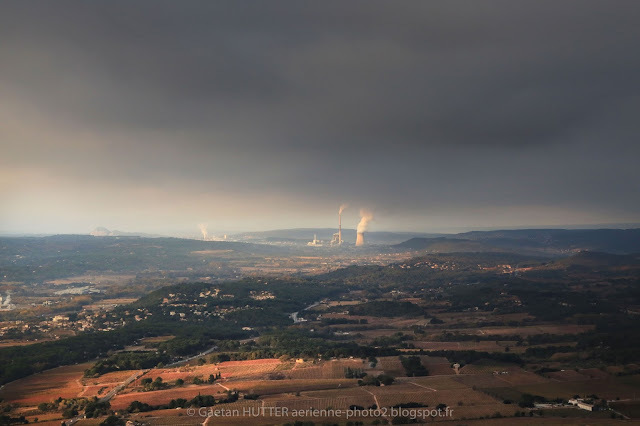 View west to the Gardanne power plant. During winter months the power plant begins working again. Steam from the chimney stacks pour into the low cloud cover.